Want to put yourself in a position to make more money? Check out our infographic to find out which positions made our Top 10 In-Demand Jobs for 2013! When you’re looking for the right position, it helps to have the right salary numbers. And by uncovering the hottest organizational leadership and support jobs, we can help you experience career success in the evolving economy. From HR to non-clinical healthcare, check out our Salary Guide for some insight into the leadership and support positions that are trending right now! 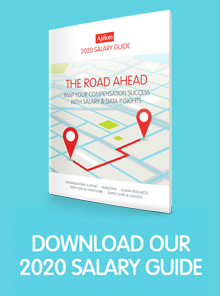 To see more, you can request a complimentary copy of our Salary Guide or talk to an Ajilon Professional Staffing representative.